Dr. Jack Stockwell - What Should You Require From A Doctor? 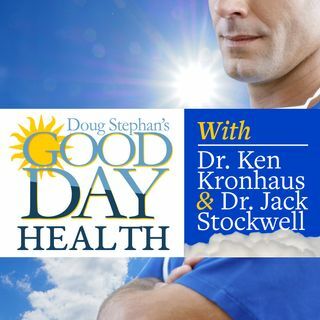 Dr. Jack Stockwell http://www.forbiddendoctpr.com and Host Doug Stephan discuss the new Diabetic Risk Test. What is your greatest risk for getting Cancer? Genetic Pre-Disposition or Environmental Factors? You'll be shocked to learn how many children under one year of age are taking psychiatric drugs. Learn what kinds of information and medical philosophy you should require of your doctor. Can you guess why Eskimos don't get Heart Disease? Finally, some questions that you should ask ... See More when choosing a restaurant.